Elwood's all stainless steel W-Series servo motors are designed for demanding wash down evironments. Precision machined components and smooth finishes provide a minimum of cracks and crevices in the 304 stainless steel exterior. SEALING: W-Series motors are sealed for ingress protection (IP). Teflon or viton shaft seals help prevent liquid ingress at the front flange. O-rings are used throughout the motor to seal housing joints. IP68 cable glands eliminate ingress at the cable exits. FEEDBACK: W-Series motors come standard with incremental encoder. Absolute (single or multi-turn) or resolver feedback is available as an option. Additionally, Elwood will implement alternate feedback types to suit your control scheme (where possible). ROCKWELL LEGACY REPLACEMENT: Elwood's W-Series motors also directly replace W-Series motors for Rockwell Automation/Allen-Bradly. Elwood's W-Series motors are form, fit, and function replacements for the originals. This includes windings, mounting, connectors and feedback that are exactly the same as the original motors. No hardware or software changes are necessary when installing Elwood motors to replace Rockwell Automation motors. 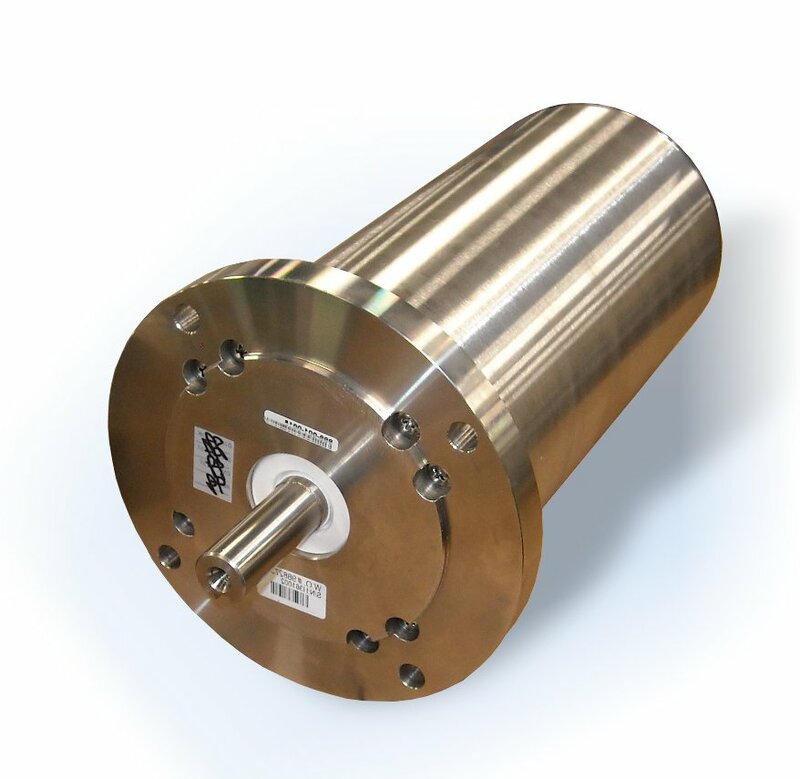 Elwood's W-Series All Stainless Steel Servo Motors are designed and well-suited for a wide range of applications in harsh environments.